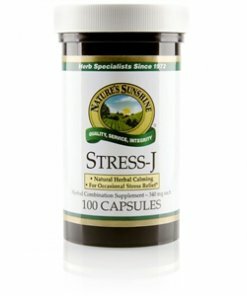 Nature’s Sunshine Stress-J blends herbs that promote nervous system health. Chamomile, a key ingredient in the formula and a popular herb in Europe, helps calm the nervous system. 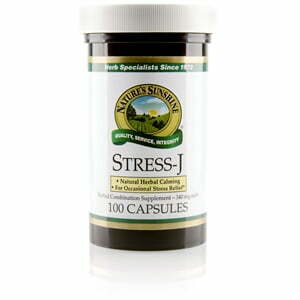 Stress-J may be used for occasional stress relief. It works well when used with B-complex vitamins, bee pollen, and vitamin C.
Instructions: Take two to three capsules with a meal three times daily.